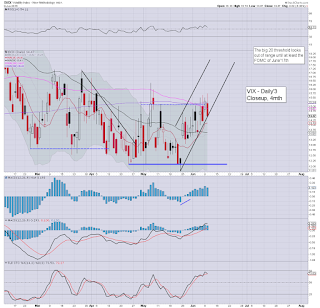 With equities closing moderately mixed, the VIX remained subdued, settling -5.4% @ 14.47 (intra high 15.74). Near term equity outlook remains weak, with the bigger weekly VIX cycle offering the 17/18s as a viable capitulation spike high. *VIX was duly whacked lower in the brief 15mins of AH trade.. to settle at the low of day. Its the sort of thing that would normally happen on a sleepy Friday afternoon. Despite a fourth day of declines for some equity indexes, the VIX could not hold the earlier high of 15.74 - the highest level in 5 weeks, with a rather typical late day cooling. At some point in the coming months the VIX is going to explode into the 20s (if not the 30s.. if sp'500 <2K), but that certainly does not look viable in the current up cycle. 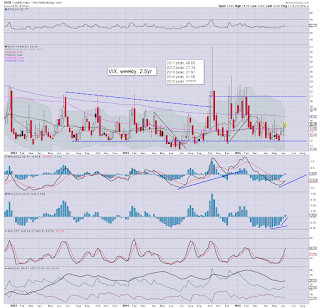 Next realistic chance of VIX 20s appears no earlier than mid/late July. US equities closed somewhat mixed, sp +0.8pts @ 2080 (intra low 2072). The two leaders - Trans/R2K, both settled lower by around -0.3%. Near term outlook offers further weakness to the 200dma (2046 and rising), but that will not be easy as the USD remains in a cooling phase. *closing hour was a little weak, but clearly, nothing significant. It does keep open the door to renewed weakness tomorrow. 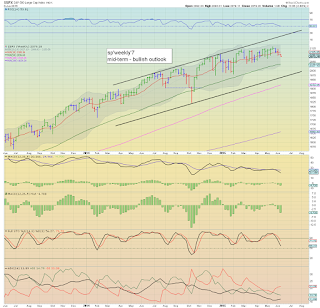 So, a bit of a 'moderately mixed' close... sp'500 managing to close fractionally higher. 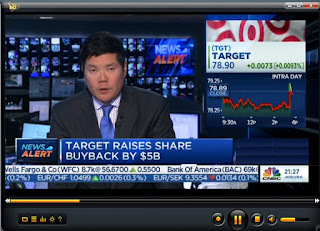 No buybacks.... market ain't so happy. *the smaller 15/60min equity cycles are both offering a closing hour rollover, which in theory should be the case.. if we're going to see a cycle low by end week. It remains a bit of a confusing mess. 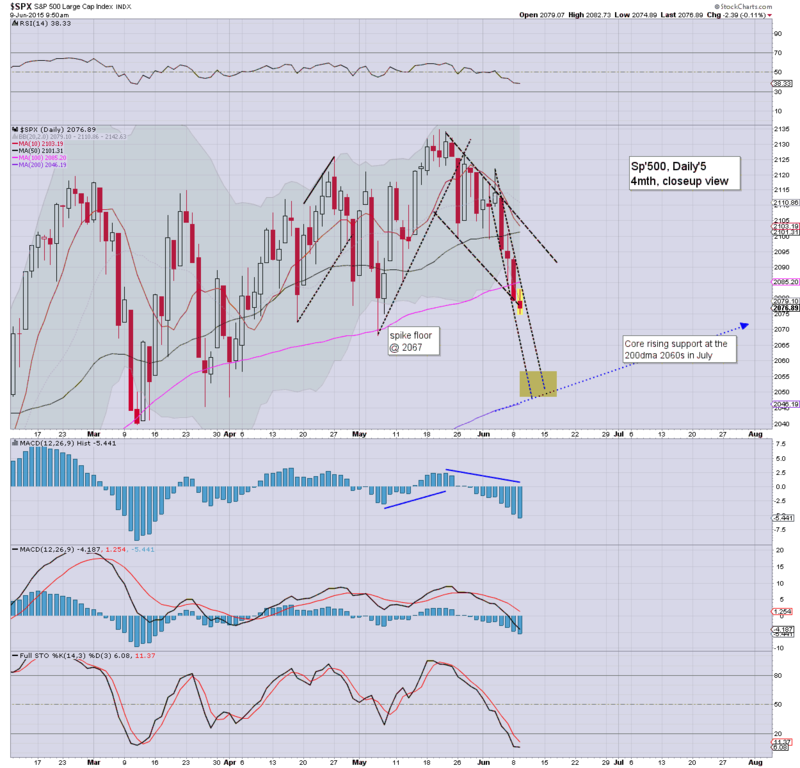 The daily/weekly cycles are still suggestive of further weakness.. lead lower by the Transports. 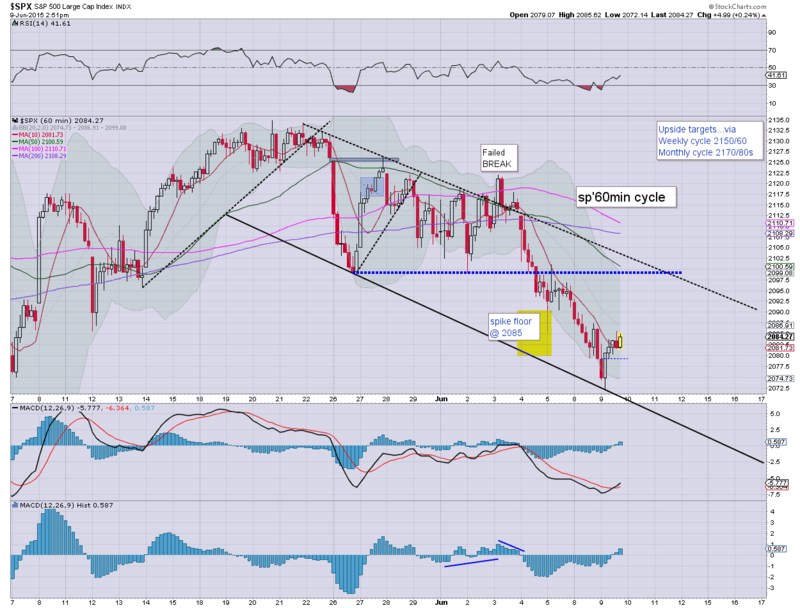 Overall, the threat remains of another 'dumb rally' into early July... not least helped via a cooling USD. How long until earnings for some of the big intl' stocks are upgraded when DXY 92/90 in a few weeks? 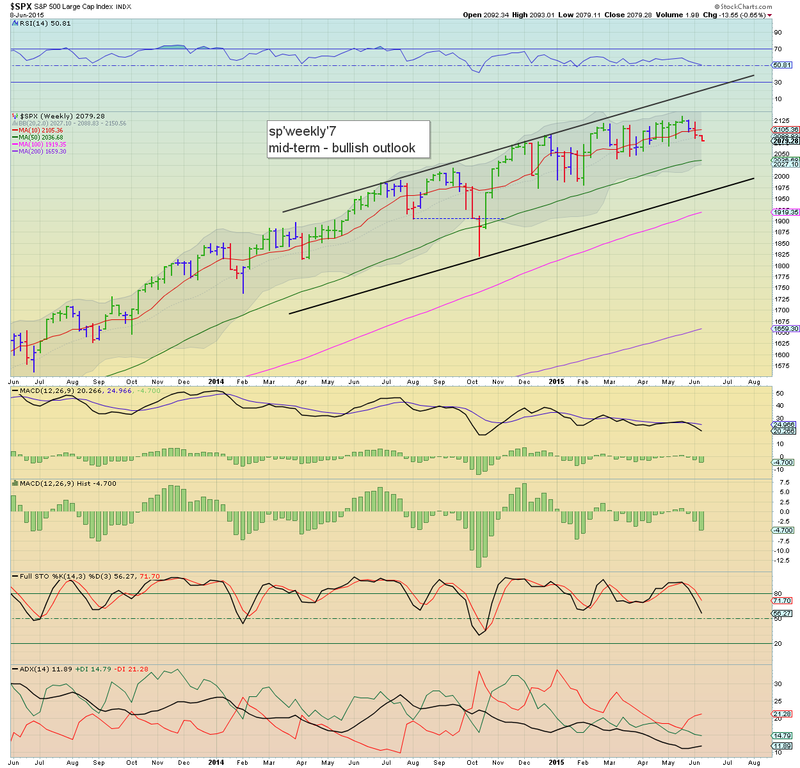 What is clear... the mainstream is getting increasingly twitchy about downside this summer/early autumn. notable gains in energy prices, Nat' gas +4.9%, with Oil +2.7%. 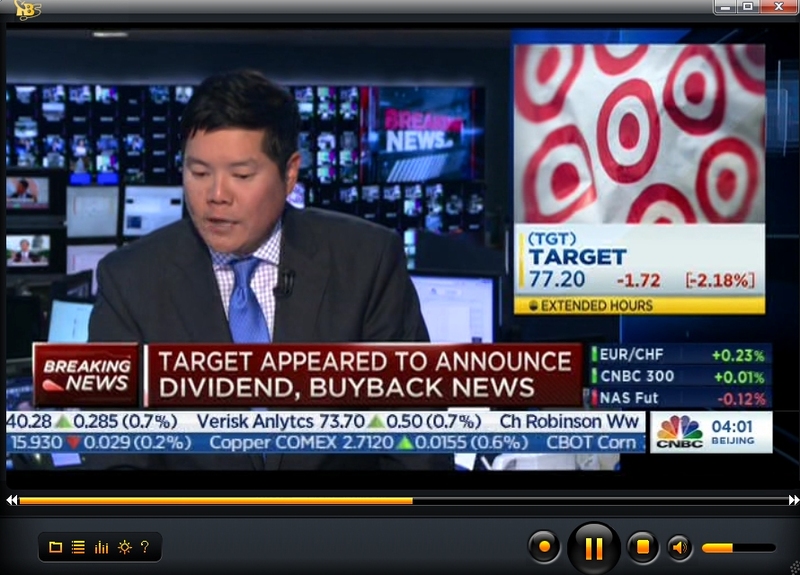 Bullish US consumer? 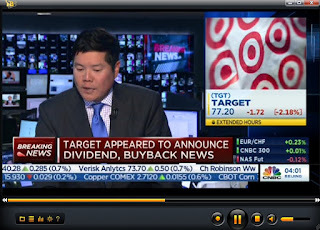 Another 5bn to buy back stock.. to prop up the share price. Western capitalism at its finest, right? 3.34pm.. Somewhat amusing to see clown TV host getting twitchy.. as some indexes are set to close lower for the fourth consecutive day. How can Yellen let this horror continue? 3.46pm.. 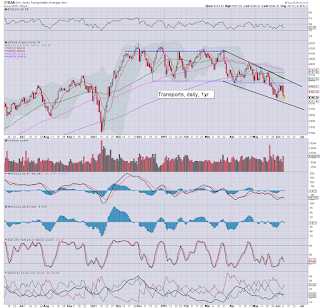 Eyes on Intel (INTC)... a net daily decline.. would be the 7th in a row... that'd bode pretty bearish for main market. Near term target remains the $29s. Again, its still pretty quiet out there today. Few want to buy.. with just a touch more on the sell side. Broadly.. the market is still inclined to fall for another few days. 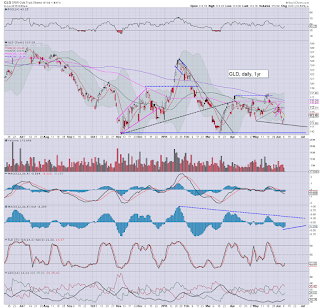 notable weakness, GDX -0.8%... despite somewhat higher gold prices. Whilst equities are battling hard to stay a touch positive, there is notable weakness in the USD, -0.1% in the DXY 95.20s (intra low 94.84). Broader downside to the 92/90 zone looks probable by early July.. and that will certainly help the metals and Oil. 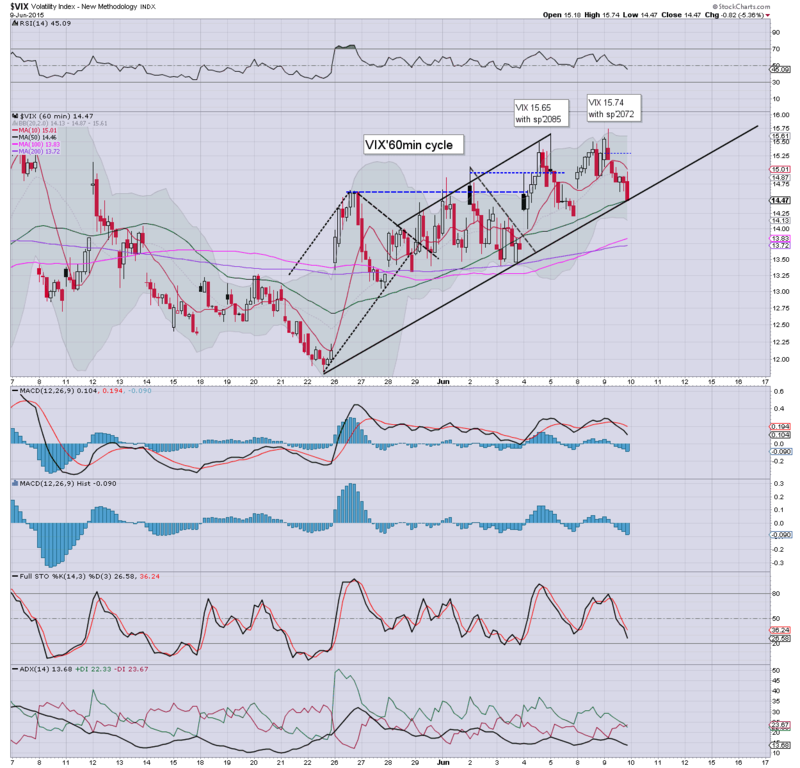 USD lower for the second day.. with last Friday having likely marked a short term top. Given another few weeks, 92 looks a pretty easy target... the only issue is whether 90.. or even 89/88.. before the hyper ramp begins.. as a GREXIT looks probable. *Oil is making a play for a daily close above the key $60 threshold.... next target is the 62 high.... after that... 65/67.. where there are multiple aspects of resistance. 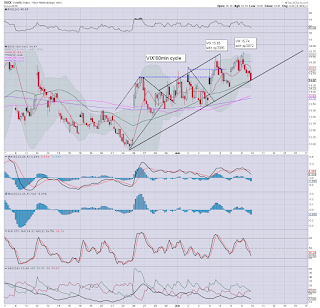 Sustained price action in the $70s looks extremely unlikely for the rest of this year. As for equities, it remains a case of weak minor chop... with an inclination to increasing downside into the close. notable weakness: TWTR, -1.4% in the $35s.... if Q2 earnings disappoint next month... the loss of $30 will occur. A minor up wave.. and the sp' is +3pts @ 2082.. but still within the short term down trend. 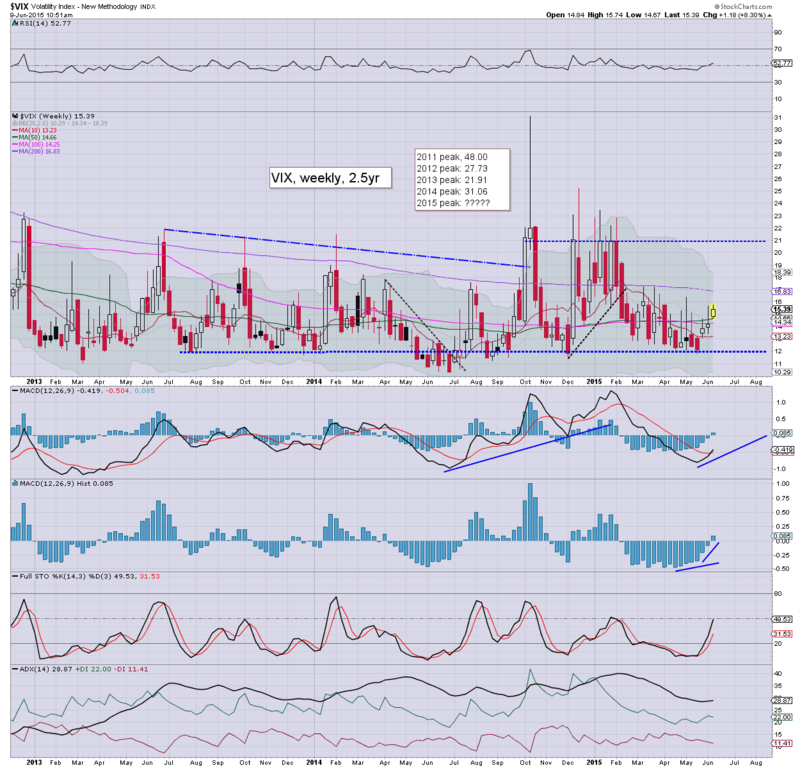 VIX has naturally turned negative, -2% in the upper 14s. 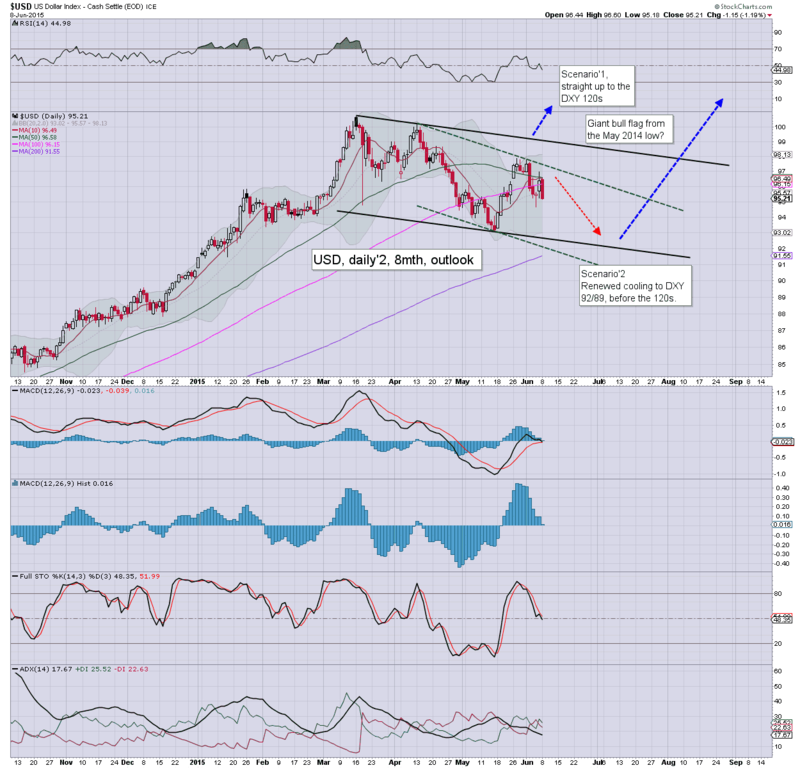 USD has turned red, 0.1% in the DXY 95.10s, broadly headed for 92/90 by early July. Metals are battling to build moderate gains, Gold +$4. Price action remains pretty quiet. A fair few individual stocks continue to suggest further downside before a broader market turn/floor. Interesting morning so far... clearly.. there is simply no buying interest at current price levels.. or at this time. The next data point of note are retail sales (Thursday).... so the bears should be remain in control at least until the Wed' close. 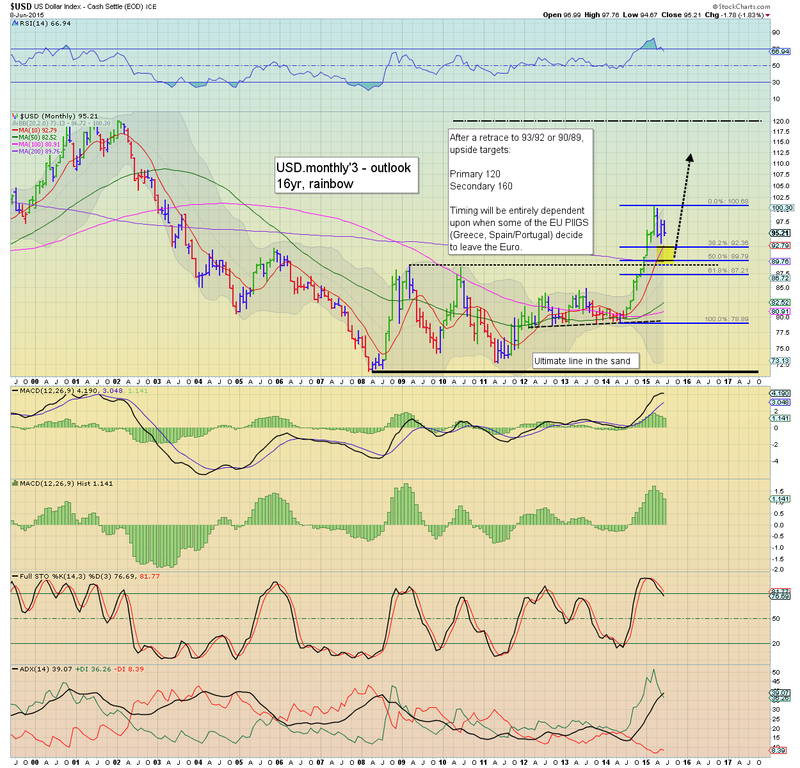 *precious metals look set for a few weeks of 'moderate upside'.. not least helped as the USD is in cooling mode. 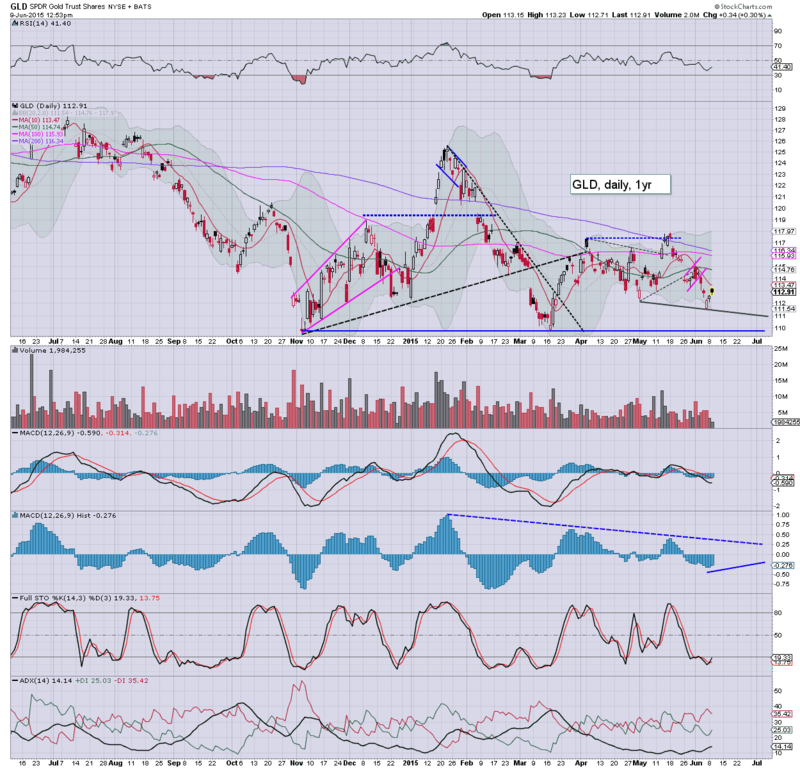 Certainly, I ain't interested in meddling in the metals right now... having closed a GLD-short last Friday @ 111.70. Maybe I can re-short from the 116/117s again in 2-3 weeks. 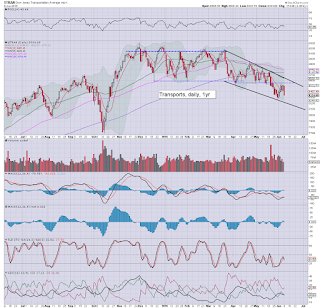 As ever.. notable weakness in the Transports, -0.5% in the 8200s. Good morning. Futures are a little lower, sp -2pts, we're set to open at 2077. The door is open to a test of the rising 200dma (2045). USD remains weak, -0.1% @ DXY 95.20s. Metals are naturally rising, Gold +$7. Oil is jumping 1.9%, back in the $59s. 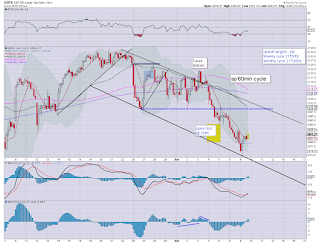 *a second consecutive red candle on the weekly 'rainbow' cycle. The best 'doomer case' in the near term is the lower bol', currently in the 2020s, although I find that extremely unlikely. 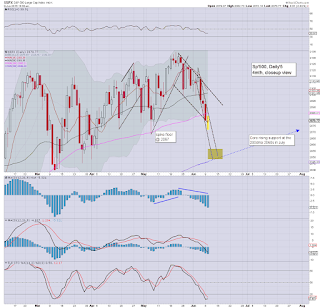 So, we're set for another marginally weak open.. and market mood sure doesn't seem so positive. Again, I'll refer to INTC, which is highly suggestive that the market is more inclined to head lower right now... at least for a few more days. Overnight action: Japan, -1.8% @ 20096. Post G7 depression for Kuroda? Whilst equities saw another day of declines (if broadly moderate), there was significant weakness in the USD, which settled -1.2% @ DXY 95.21. Further downside to the 92/90 zone looks highly probable by late June/early July. From there... the 120s are due on a hyper-ramp into 2016. The Friday black-fail candle was certainly a warning of Monday dollar weakness. 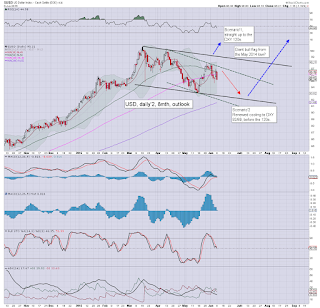 The May low of DXY 93.16 looks set to be at least marginally taken out within the next 2-3 weeks. 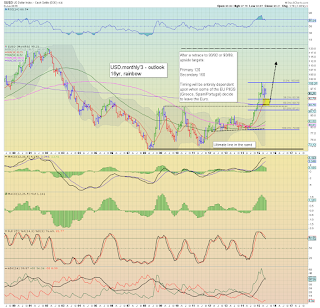 The issue is where will the USD floor.. before the hyper-ramp begins? Best guess... 92/90 zone... by early July.. and then UP UP UP. If correct, that will have bearish implications for most US $ asset classes, but especially for the precious metals and Oil. Tuesday will see wholesale trade data (10am). Today was clearly a bit of a mess. Opening minor weakness... a fair bit of chop, but then increasing sell side in the closing hour... not least in the Transports. 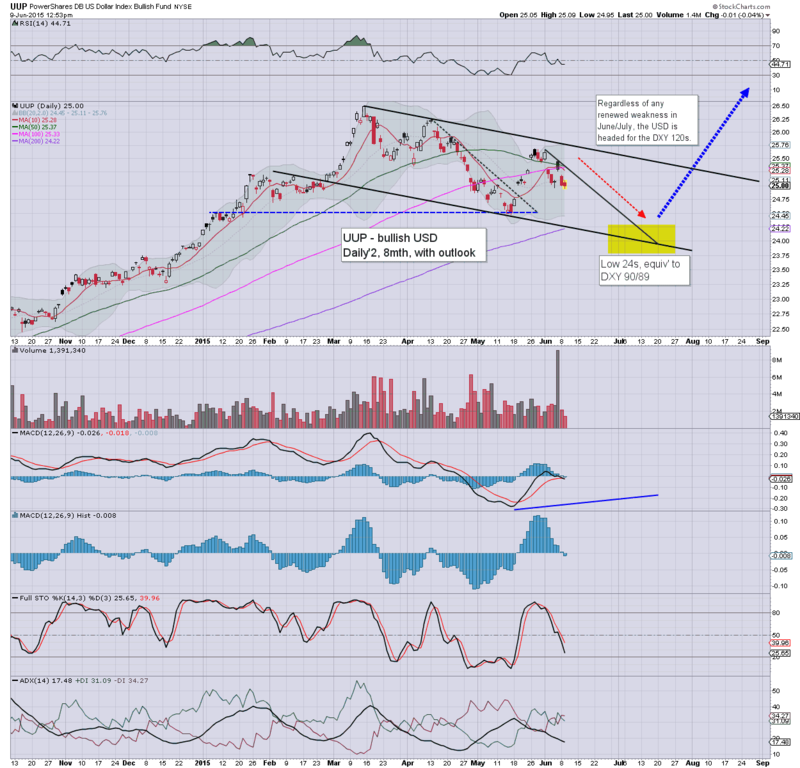 For me, Intel (INTC) is perhaps one of the more important individual stocks warning of trouble in the broader market. I sure like the company across the long term, but price structure is an extremely clear H/S formation. 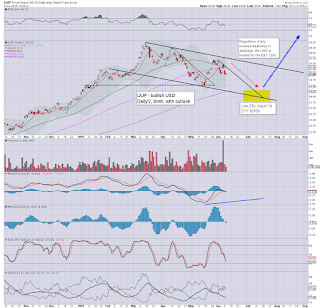 A loss of the $29 threshold will open up a move down to the summer 2014 breakout level of $25. 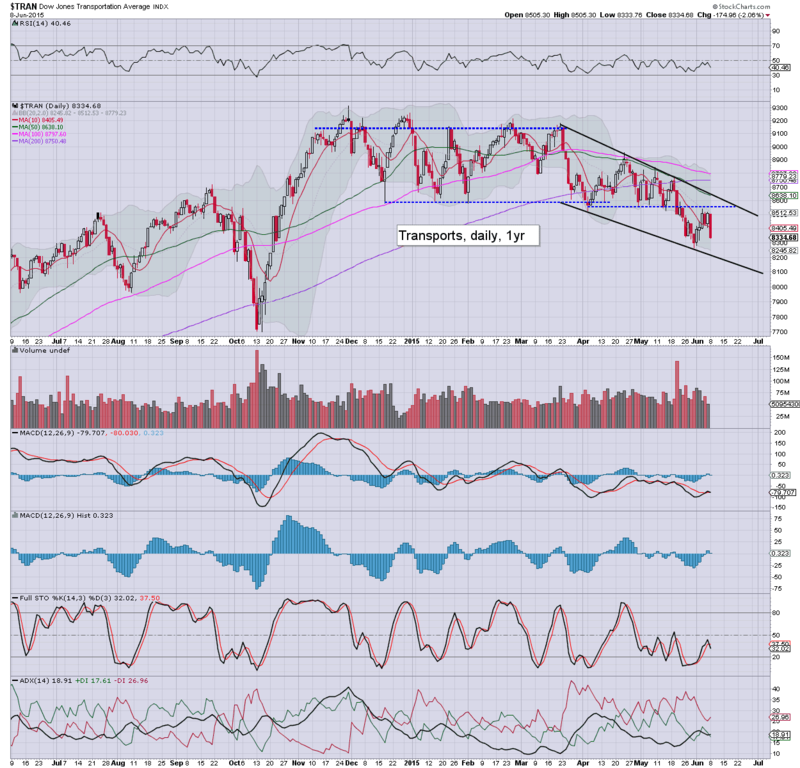 Best guess: further weakness for INTC (and the broader market) for much of this week. 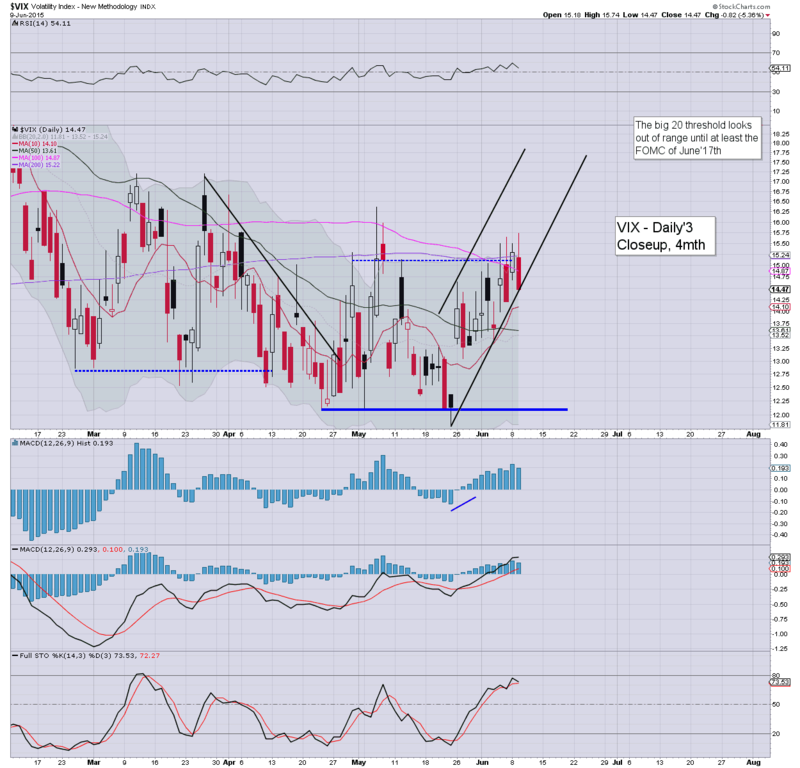 I will be watching INTC closely for a bounce from around $29. A few weeks upside... (maybe into early July), but certainly no higher than the $33s. I will consider an INTC short in 3-5 weeks, not least if the broader market is (for whatever reason) in the sp'2140s or higher. *for some charts on INTC... see my 'fair value' page. 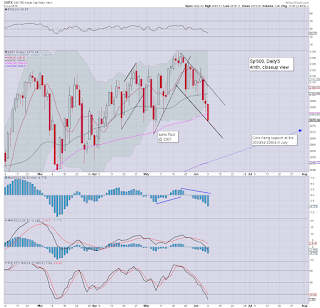 US equities closed broadly weak, sp -13pts @ 2079. The two leaders - Trans/R2K, settled lower by -2.0% and -0.6% respectively. Near term outlook is uncertain, with some stocks (INTC, AAPL for instance) suggestive of further downside across this week. *as has been the case since Nov' 2014, the Transports remains the market laggard, although remains above the May 29'th low of 8265. A pretty quiet start to the week... despite a third consecutive day of declines (for some indexes). There appear few buyers.. and only marginally more sellers... as the market is increasingly focused on when the Fed might raise rates. For now... it is STILL the case that the equity bears lack any sustained downside power.